What’s a fantasy summer fling amongst guilty pleasure friends? That’s right – it’s time to play: Name Your Top 5! You know, it’s the game where you get to pick 5 celebrities you can hook up with -no strings attached- should you ever get the chance. Freebies! Here’s my current Top 5! Yum. 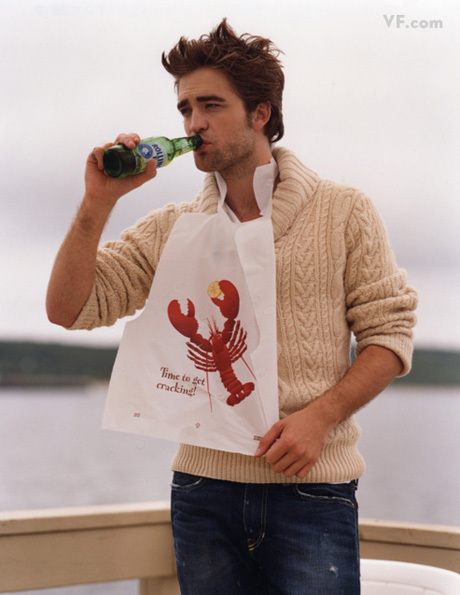 I think I'll need a bib, too. Now it’s your turn! Post your Top 5 in the Comments section below! …Pretty please, with lots and lots of whipped cream on top (or wherever you want it)? Previous postWilfred: A Doggone Hoot, Don’tcha Think? It is really, really difficult to think of anybody not pictured above. Like, a lot. I’ll see if I can clear my brain out in a half-hour and come up with an alternative list. If I don’t say anything? Just assume that’s my way of saying “ditto”! Ha! I love it. And you’re lucky, because I’m totally willing to share. I’m a big fan of seconds and thirds!!! I’m surprised there’s no Daniel Radcliffe on your list! ha ha! Excellent. You must really be enjoying “True Blood” this season! I totally understand wanting him thrice-over. Hugh Jackman is great, too! Can we make it 10 instead of 5? I’d also like to get Jimmy Fallon and Justin TImberlake on the list. Sure, make it 10! Hmmm, it might be hard for me to come up with 10. Would you think I was weird if I added Seth Rogan to my list? I’ll go for sloppy seconds with Justin, too. True blood is amazing this season. I’ve forced my husband to confess his crush on Pam, so I don’t feel so guilty about my crush on Eric! I love Seth Rogan! Pre- and post-diet. Funny = attractive for sure! 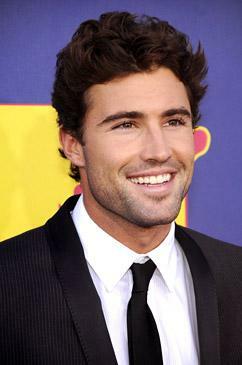 That’s why I wrestle with my constant Brody Jenner choice. He appeals to me in no other way except physically, and usually it doesn’t work like that! He’s just the perfect male specimen, and I can’t seem to help myself. Look at him!! Flawless. True Blood is one of my favorite shows! I love the Sookie Stackhouse books(by Charlaine Harris), so I knew what was coming with Eric this season, but it’s SO much fun to watch! I love the Harris book series, too. I sadly hurried through Dead Reckoning and now have to wait probably a year for the next one. I think she’s stopping with book 13. I don’t know how I feel about the fact that my top 5 exactly matches yours, except swap everyone on the list with emma watson. I’d be willing to trade for Daniel Radcliffe.